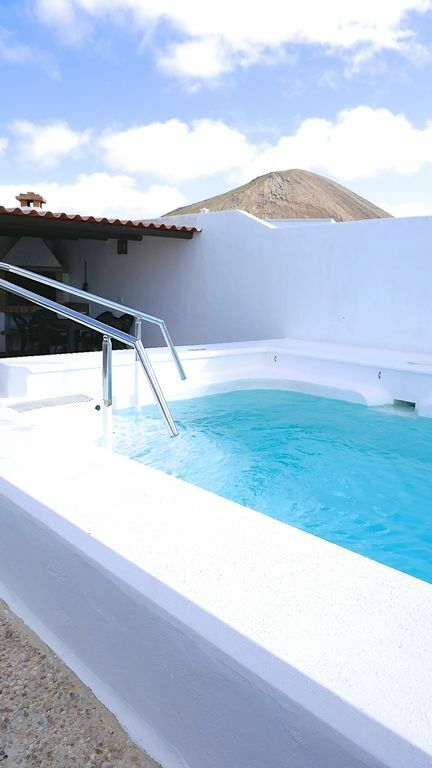 Typical Canarian style villa, with 3 bethrooms and a charming patio and pool area with volcano views. It´s a very peaceful villa with bright sunshine and fresh air every day of the year. It has the essence of the island in every decoration detail. At just 100 meters there is a famous local wine bodega where you can enjoy the wine produced from the volcano lands. It´s a great villa for families and couples or just group of friends. It has everything you could need for a fantastic holiday. The patio and pool area have beautiful mountain views and a nice barbecue area just in front of the pool.